Our team constantly seeks new opportunities, analyzes their risks and rewards, and creates strategies and tools to capitalize on them. We have an open culture and encourage the flow of knowledge and ideas between all areas of the firm. New hires work both independently and with others to develop ideas and analyses, and integrate them into our trading strategies and systems. I spend a fair amount of time talking over new strategies or markets with the traders, software developers, and other members of the QR team. Sometimes we’ll come up with longer-range projects to pursue. It’s a very eclectic role: part mathematician, part risk analyst, part trader. Sometimes I'll have one eye glued to the market, refining a strategy or model on the fly, sometimes I'll spend several weeks diving into some large data set or coming up with a new framework for thinking about something. In any given day, week, or month, the approach, the immediacy of the result, the scale and type of collaboration, everything about the job will change. Only the end goal remains the same – to improve our understanding of the markets we trade and find fresh opportunities in the ones we don’t yet trade. I’ve been at Five Rings for just over three years. I had interned here the previous summer, and we were using a couple of models I’d worked on during my internship in live trading. So, my first month, I mainly filled out my work from the previous summer, alongside a more experienced QR and the traders who traded that product. Otherwise, I spent my time working on smaller studies to help existing desks improve their trading. In addition to adding value, this helped me improve my own understanding of our systems, and trading in general. One year ago, I joined Five Rings as a new trader. During that time, I have progressed from knowing very little about the markets and how to trade efficiently, to being confident in managing orders and risk and having substantial trading responsibility. I am continuously learning about trading theory, working to try to improve our strategies, and thinking about ways to optimize our trading systems. I spend most of my time working closely with my mentor to trade and most efficiently parametrize our trading systems, as well as with software developers, in order to design and implement new technologies. I've worked as a trader at Five Rings for a little over three years. When I started, I was supporting a senior trader, directly gaining valuable experience and hands on advice from him and others. As my knowledge increased, I began to take on more and more trading responsibility. I eventually became a trader, about five months after joining, and got the opportunity to start a new book from scratch a few months later. Building up a set of trading strategies from a market where we have one small idea about how to do one simple trade is a challenge that I have greatly enjoyed. I now work as a trader in our London office and have been there since its inception. Currently, my main focus is on improving, maintaining, and executing some of these same strategies which have been modified and expanded over the past several years. Much of this is done with the help of two other London traders, one of whom I mentor for most of the day. During trading, we discuss tasks and projects that need to be finished, identify potential opportunities in the market, and reflect on interesting trades and situations that occurred. We pore over all the day’s events to improve our decision making, and find potential changes we can make that we think will add value to the firm in the long run. Mentoring has been a great experience as I'm learning how to effectively communicate the most important points of my job to another trader. My hope is that he'll be able to take over the strategies I'm responsible for as Five Rings continues to grow. In addition to the thrill of making lots of quick analytical decisions over short periods of time, I've really enjoyed working and sharing ideas with our other traders, quants, and software developers to solve problems that pop up, and improve upon our current trading tools. I have been a Software Developer for a little over one year. I joined directly out of school. I was also an intern here. Recently, I've been working on features, improvements, and optimizations for the frontend tools our traders use to interact with our systems and view markets. As an intern, I worked on a few projects including a tool to monitor application health and latency, and a real time graphing tool. As a developer, I mostly work on software design and implementation, but also am involved in mentoring both new hires and interns. I’ve been a Software Developer at Five Rings for a little over three years. I had a winter internship here and came back the following summer. What had really left a lasting impression on me, particularly early on, was the level of involvement and responsibility presented to me. Even as an intern, I had a variety of projects impacting many levels of the firm's trading system. This ranged from packaging and distributing incoming data from global financial exchanges, to monitoring the liveness and integrity of the trading system components, to developing front-end trader-facing software, all while working very closely with the full-time development team. Since joining full time, I have continued to work on many levels of our trading system, including implementing automated trading strategies and core infrastructure. 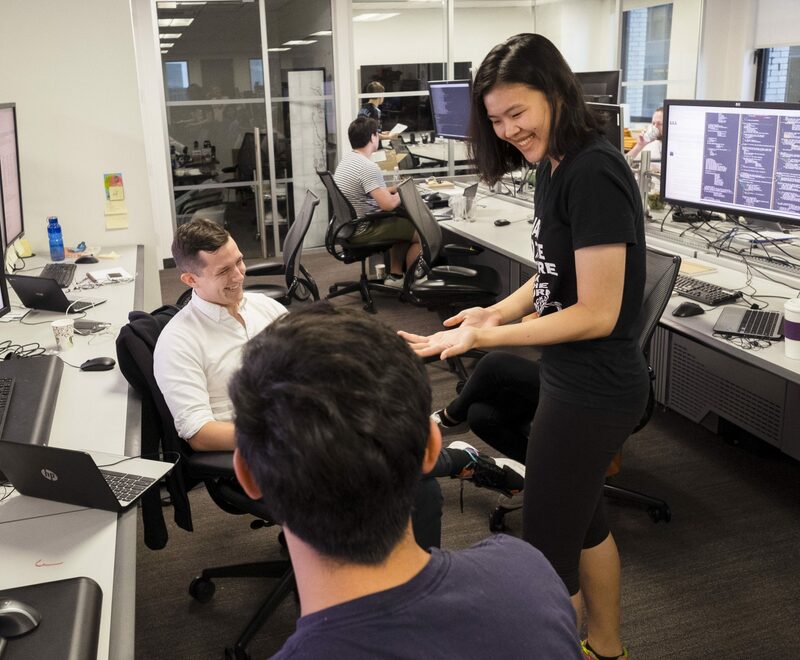 The development team has grown tremendously since then, but the open and collaborative atmosphere remains a focal point of the firm's software development process. Every day, I engage in open dialogue with other developers and traders regarding a variety of projects, which has contributed immeasurably to my growth as a software developer. I did not have much experience with finance when I began my QR internship at Five Rings. The depth of interaction I had with my mentor greatly enhanced my learning by comparison with other internships I have had. I worked on several projects over the course of my summer. One of them began with identifying patterns in market data, but expanded in scope after I enhanced some techniques my mentor suggested. I spent most of the last month applying the analysis to new markets and more granular types of market data. 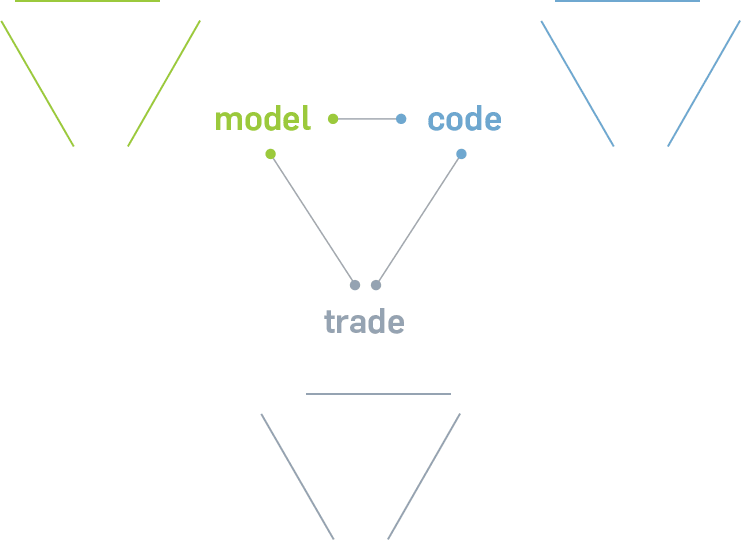 I would occasionally talk with the traders about applying my algorithms, and their questions and comments gave me a better intuition for the types of tradeoffs you'd want to weigh in designing a model. I also really enjoyed participating in the mock trading games. In addition to being fun, they helped me internalize some of the rules of thumb my mentor would employ to cut through the chaos of possible signals. My internship had a good balance of breadth and depth and overall, I learned a lot about what goes into identifying market anomalies and designing strategies to trade against them. As a software intern at Five Rings, I am currently working on building a market data bridge between Five Rings and an exchange. I spend most of my day both writing my application and reading infrastructure code, getting an inside look at the company's custom system design and learning industrial coding practices along the way. The other parts of my day are spent working with my mentor to clear roadblocks and questions or interacting with the exchange to set up connections and test environments for my project. At our weekly stand-up meetings, it's neat to hear about the other intern projects and the different problems faced. The mentors reinforce the lessons learned from our weekly challenges and present both the high level view of where our projects lie in the big picture and the low level view of all the layers that our projects rely upon. One of the coolest parts of the internship is being so close to the end users of our projects. At least once a week, we get to touch base with the traders. Through their lessons and hands-on trading game, I experience the other side of the system, learning about the types of tools traders need and understanding the purpose that my own project serves. In the past, I worked on building the order routing bridge that complements my current project. It is exciting to be involved in the various moving parts and further push the frontiers of my knowledge. 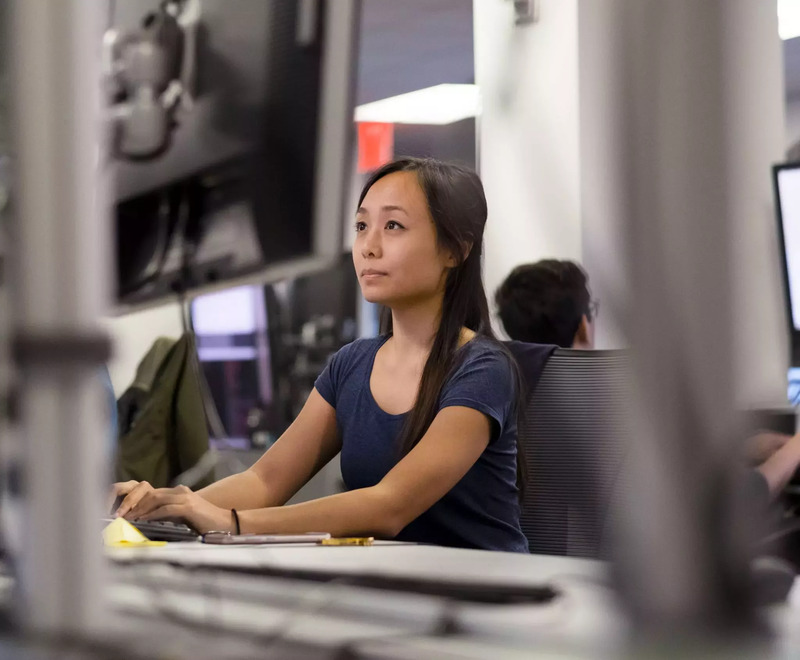 When I got my first project as a Five Rings intern, it was hard to know how to start. It was unclear not only how to approach the problem, but what exactly a positive outcome would look like. As I learned about trading and unpacked the problem with my mentor, we eventually were able to uncover the structure and signal from the data and come up with some pretty cool results. Alongside my long term project, I really enjoyed the many different mock trading games we played, both open outcry and electronic. Additionally, we played a longer term strategy trading game that was very fun and was good practice in thinking about how to capitalize on my specific edge without succumbing to adverse selection. By the end of the summer, I had a much better understanding of how to think like a trader and how quantitative firms make money.